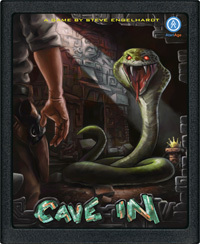 Subscribers: Cave In and Lead Now Available! AtariAge Subscribers can purchase these games in advance and receive a 5% discount on anything purchased in the store. You can learn more about becoming a subscriber here. If you read it really fast and it gets cut off it's just "Subscribers: Cave In!" It sounds like you were starting some sort of war. That's it; I'm getting all my homebrews on Melody boards. For $5, it's well worth it. I can't wait to see what people come up with to use the extra RAM and bank switching on those, too. The store is back? Where? I have not opened it to everyone yet. I am still working on a few things. Now I wonder why I am excluded. I mean, you are still selling my stuff, don't you? Nope, I took all your games out! Are there any plans to sell blank Melody carts and programmers? 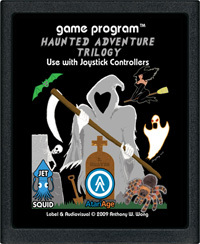 Thanks Albert for getting Haunted Adventure Trilogy and the other games published. 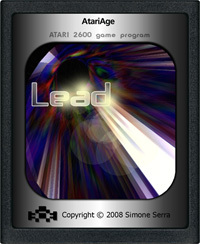 Looking forward to the AtariAge Store going online to the general public. Cheers!